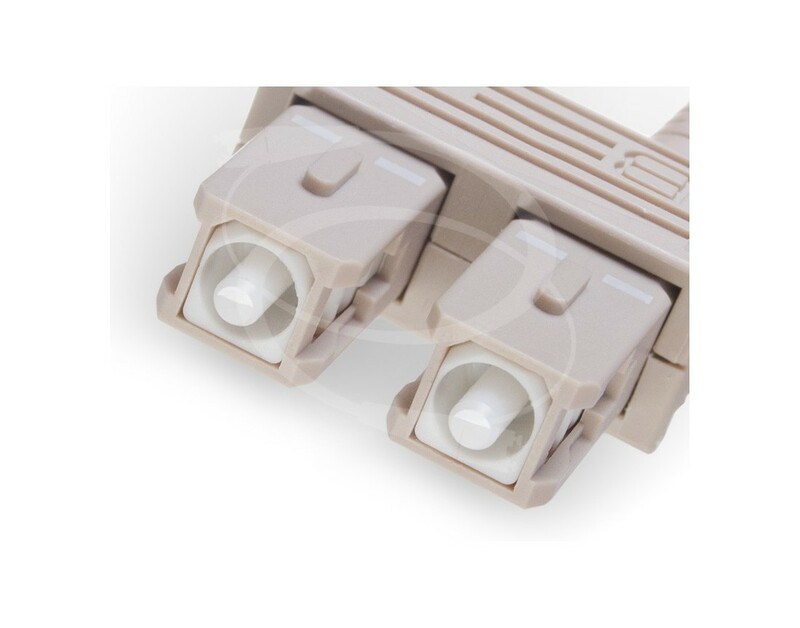 SC-SC Mode Conditioning Patch Cable with Corning optical fiber and durable ceramic ferrule SC connectors. This Mode Conditioning fiber optic patch cable converts a Singlemode (aka: SM, SMF, Single-Mode and Single Mode) fiber cable to a Multimode fiber optic cable by offsetting the Singlemode Laser launch from the center of a Multimode fiber strand. This Mode Conditioning Patch Cables allows you to use SC Singlemode Transceivers on Multimode Fiber Backbones with SC patch bays. 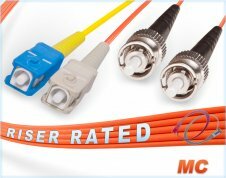 Each Mode Conditioning (MC) fiber optic patch cable is individually tested by a qualified fiber optic technician then bagged and shipped with test results right to your door. 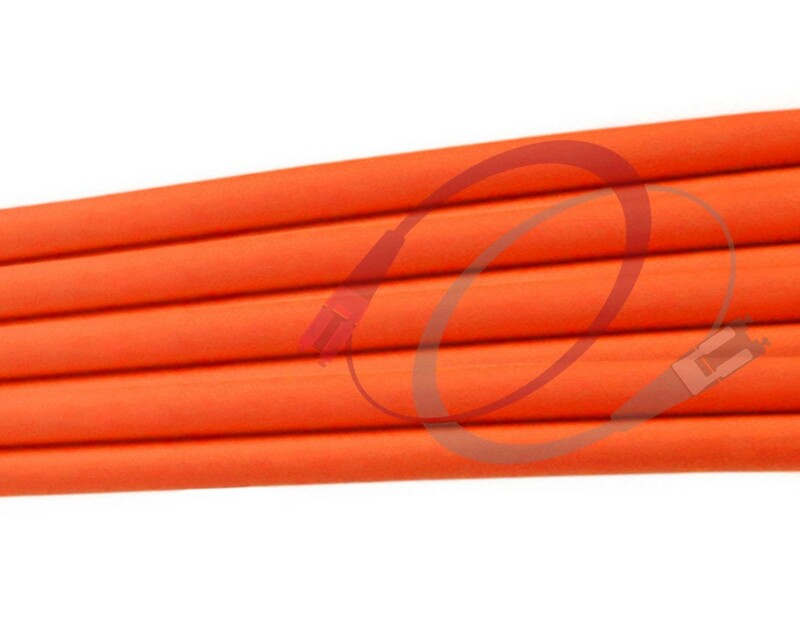 Lengths available in our online catalog for SC-SC Mode Conditioning Patch Cables: 1 Meter, 2 Meter, 3 Meter, 4 Meter, 5 Meter, 10 Meter and 15 Meter. Try our Custom Cable Configurator, quickly build your own customized fiber optic cable and simply add to your Cart. You can select any Cable Type, any Length, any Connector configuration, any Modality, any Strand Count, and more. Call in your Custom Cable Request at (866) 933-4237 and our support team will help you get the perfect Fiber Cable solution for your specific requirement. Call in your Order at (866) 933-4237 we'll process your order right over the phone. Pay with a Check, Credit Card, or Create an account and pay with a PO#. Call in your Quote Request at (866) 933-4237 and your Quotation will be emailed. 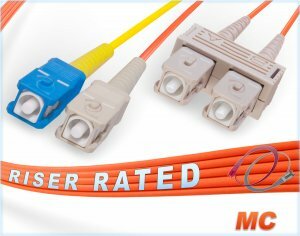 With 1 simple click you can checkout online from your FiberCablesDirect.com account.